Modern blog readers increasingly expect their content to be available on the go. Mobile browsing is a fast-growing source of internet traffic – chances are, some of you reading this very article will be doing so by the light of your smartphone or tablet. Therefore, the smart operators are those who adapt their offerings to fit the new technology. Here are some plug-ins for WordPress to make your blogs come alive. 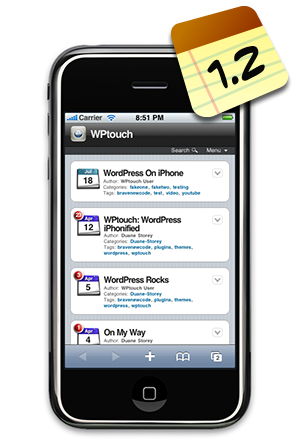 Every field needs a leader, and WPtouch is the leader in the emergent field of mobile WordPress optimization. This powerful plugin allows you to offer a mobile version of your site alongside the regular page. Menu options make it easy for your readers to choose between the vanilla and mobile-enhanced iterations. This will allow you to make sure your brilliant prose formats properly on the latest displays, like the screen on the HTC One M8. 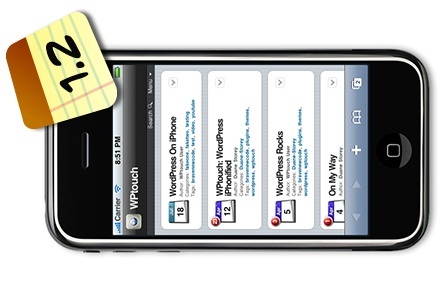 WPtouch works with Android, Blackberry, and Apple devices, and is available for free, or in a “pro” version, with more options, for a reasonable cost. Experts agree: the search functionality on WordPress is, shall we say, not its strong suit. With screen space at a premium on mobile devices, this issue is doubly important when considering how your setup will work on smartphones and tablets. Relevanssi provides a solution, replacing the default WordPress search with a customizable widget. Relevanssi is available in a regular, free version, or in a premium package, with access to features like additional weighting options and search terms. Well-curated content helps mobile users avoid the frustration of sorting through innumerable pages on their tiny smartphone screens. Subscribe2 is a plugin that helps your visitors by providing them with subscription-based e-mails, sent when you post new content, to keep them in the loop. Why expect your readership to constantly check back for more when you can call them back whenever you feel like it? Subscribe2 also adds to your control center with new graphs and metrics to help integrate your notification strategy into your overall blog functionality. Do you find yourself wondering just how mobile your readership really is? The WP Mobile Detector plugin sorts incoming mobile traffic between regular mobile phones and smartphones, and delivers an appropriate version of your site, eliminating images or reformatting them as appropriate. More interestingly, it also gathers data on the sources of your traffic, allowing you to make informed decisions as to the future of your blog. It is available in a free basic package and a pro version with more design options and themes. Perhaps you’re a web entrepreneur, and your WordPress is a source of revenue for you. An app is a great way to build your brand, but who has the time to make one? Mobiloud is a plugin that allows you to convert your WordPress material into a native iOS or Android app – perfect for the businessman without the resources to develop their apps the hard way. Mobiloud is free to try, but actually using it to place apps on Google Play or the App Store will cost you. However, you might find the convenience and customer goodwill that you can build with this plugin to be well worth it. Of course, getting all of these new programs and deploying them properly can be a pricey proposition. If you have ambitions to expand, consider a plugin like Membership, which allows the user to convert their WordPress into a membership-based service. With this widget, you’ll be able to designate levels of membership and tier your content to limit access to appropriate visitors. The free basic version has three membership levels; the pro package allows you to create as many levels as you want, and provides you with tools to help manage the multitudes. Blogs and mobile devices seem like a natural fit. As any web user with a few minutes in a line to kill will tell you, the ability to access bite-sized content on the go is very attractive to users. Smart bloggers will endeavor to put their work into this popular format. With the proper tools, you can become the page that guy standing ahead of you at the Starbucks is looking at.